Earlier this week, La Trobe University and the Victorian State Government announced a $2 million scoping and feasibility study and the official launch of the 'University City of the Future' at La Trobe's Bundoora Campus. This will stimulate and accelerate the transformation of the 235-hectare campus into a multi-precinct, City of the Future, with the potential to deliver $5bn in investment, 20,000+ new jobs and $3.5 billion in Gross Regional Product (GRP) over the next decade. The University City of the Future has been described as a game changer with the campus expected to become "the engine room for jobs and economic development" in Melbourne’s north. The partnership supports the Andrews' Government's recent election commitment to build the Suburban Rail Link, including a new La Trobe Station at the University’s Bundoora campus. Finalising the third stage of La Trobe’s $150 million Sports Park, which uniquely combines elite sport and community participation (10,000 community visitors each weekend) with sector-leading research and teaching; and maintaining and improving access the University’s eco-corridor for all to enjoy. The University City of the Future announcement follows Planning Minister Richard Wynne's endorsement of the planning amendment for the Health and Wellbeing Hub and the Research and Innovation Precinct. This provides planning certainty for developers of the two precincts and enables the projects to commence as soon as possible. 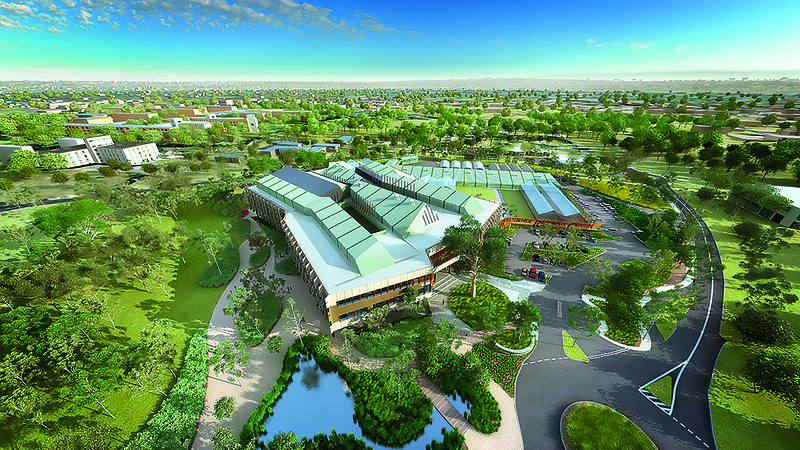 Once fully completed, the hub will include a new private hospital, aged care, childcare and super clinic facilities. Healthscope was recently appointed as the preferred private hospital operator of the Health and Wellbeing Hub. 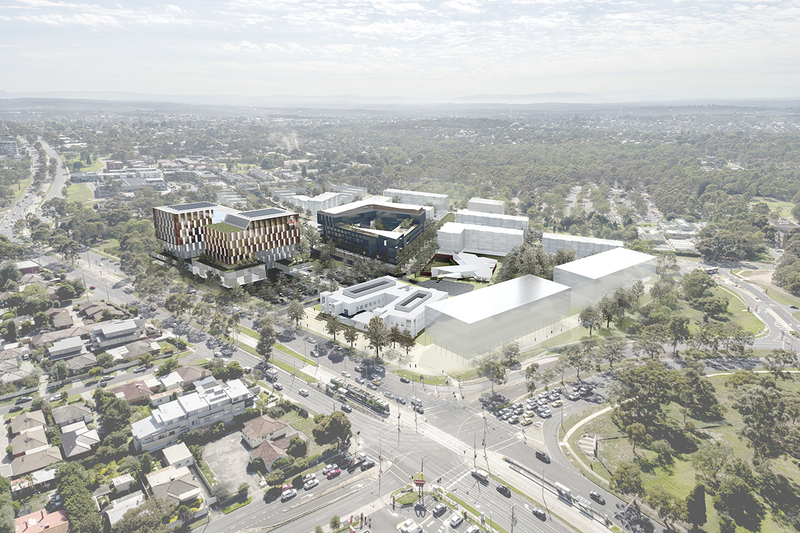 The hub will be located on a 3.55-hectare parcel of University-owned land facing Plenty Road, at the northern entrance to the Bundoora campus. The site is only 3 kilometres from the Ring Road and 15 kilometres from the Melbourne CBD. The University City of the Future is a gamechanger for Melbourne’s north and has the potential to create 20,000 jobs and drive $5 billion in investment over the next ten years. Victoria has some of the best universities in the world – this development will help to cement that reputation and drive economic growth for our northern suburbs. This funding partnership is warmly welcomed. The official launch of the City of the Future signals a significant new step forward with Government to transform our Bundoora campus into a thriving University City of the Future, which will act as a catalyst for economic growth, innovation and jobs creation – particularly in the vital areas of health and well-being, digital and cyber innovation, and agriculture, food and fibre. We are turning our campus ‘inside out’, welcoming our local communities to new and dynamic spaces, where community, industry, students and staff will work, live and learn. The proposed new rail link and La Trobe station will be fantastic for students and staff at La Trobe, and for the communities and industries that surround our campus. Would be great if a similar development to this proposal was done at the Maribyrnong defence site instead of just more houses!